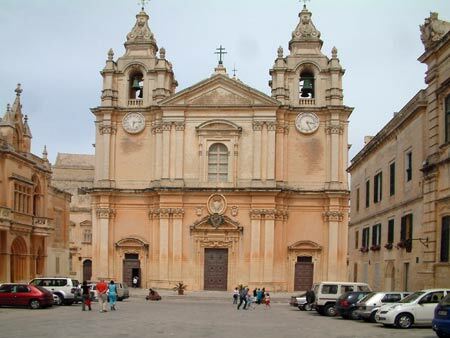 The Cathedral of St Paul in Mdina stands at one end of a large open square lined by impressive classical buildings. Dress rules apply to women when entering the cathedral; arms must be covered. There is a box of shawls available for that purpose. The Cathedral Museum, located to the right of the cathedral, has a collection of religious artefacts and music manuscripts, documents dating back to the Inquisition and woodcuts by Albrecht Duhrer.